One last meal in New Orleans before we leave. 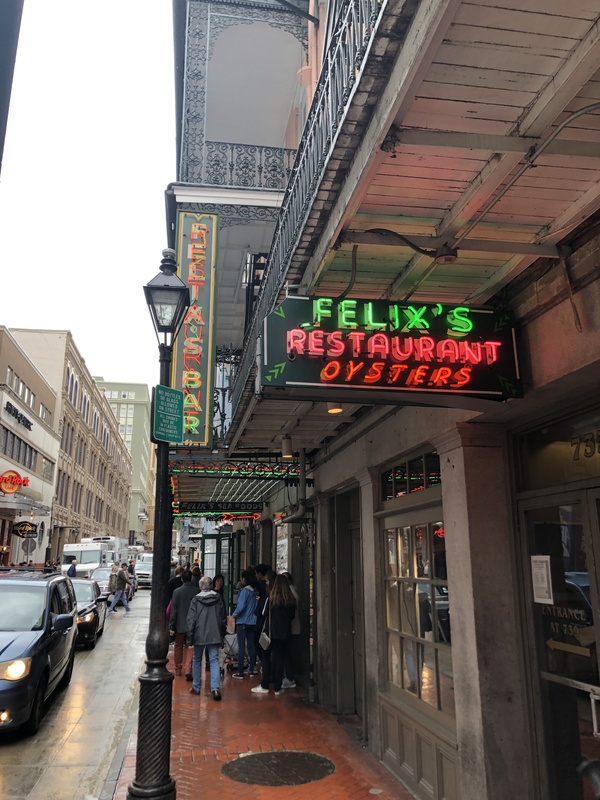 Across from Acme is Felix’s, another outstanding Oyster House! The queue across the street for Acme is quite long! But we think this one is better – my nephew TC doing his modeling thing The menu Pretty run of the mill inside, nothing fancy Doing what they do best – shucking Oysters And grilling them up! Raw Oysters! 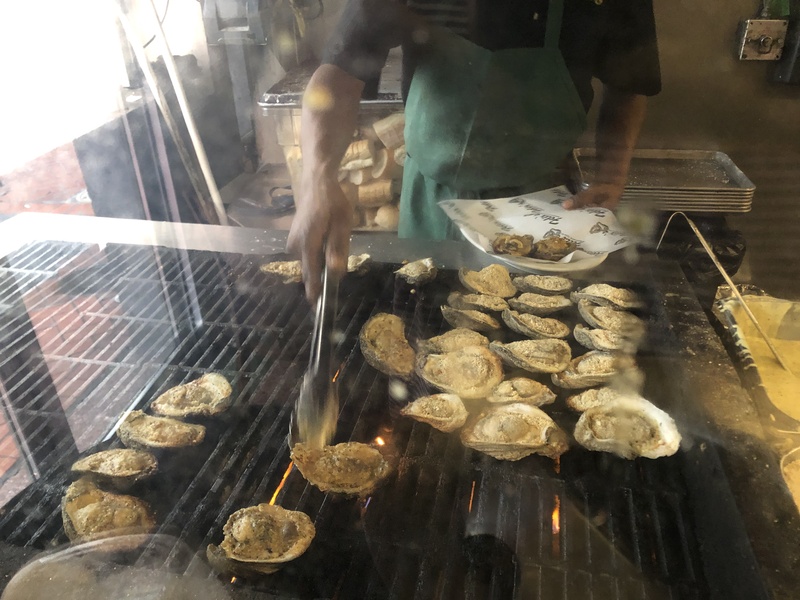 Grilled – I have to say , these are pretty good grilled Oysters! Crawfish Po Boy with Gumbo Crawfish Pies Jambalaya This place is great, no doubt about it. Posted in New Orleans, OystersTagged Crawfish, New Orleans, OystersBookmark the permalink.